If it rains the band will play inside the pavilion and the kegs will still flow ! 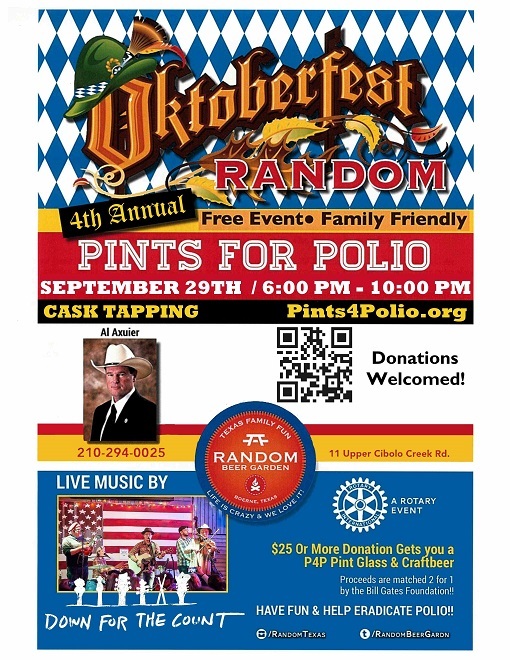 Join the "Five IH-10 Troopers" Rotary Clubs as we kick off Octoberfest and raise money to help Rotary International's fight to eradicate polio. When purchasing online, please print a copy of your email receipt/confirmation to present at the door on the night of the event; it will serve as your ticket. Rotary Clubs of the "Five IH-10 Troopers"